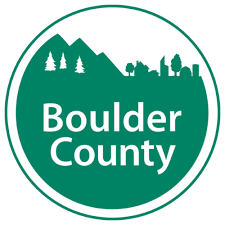 When: Tuesday, April 9, 12:00 p.m. - 1:00 p.m.
Our business members are important to our communities and provide a solid base for the favorable economy Boulder County enjoys. Paul Weissmann, County Treasurer, Cindy Braddock, County Assessor, April Myco, Business Personal Property Supervisor, and their staff want to partner with you to ensure your continued success. The Assessor is responsible for valuing, on a yearly basis, business assets are used to produce income. The Treasurer is responsible for collecting the taxes based upon these values. We want to be sure that you get the support you need in understanding the valuation and taxation process. Please join us to learn more about the valuation and taxation of business assets. We will provide you with back ground information why and how these values are established. We will also discuss how to file your business assets declaration, how to check the status of your account, what remedies you have if you have concerns about your values and/or your taxes. Tuesday, April 9, 12:00 p.m. - 1:00 p.m.